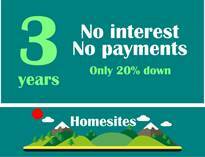 Puriscal Costa Rica mountainhomes for sale in Sabtiago Puriscal, Grifo Alto and La Palma. 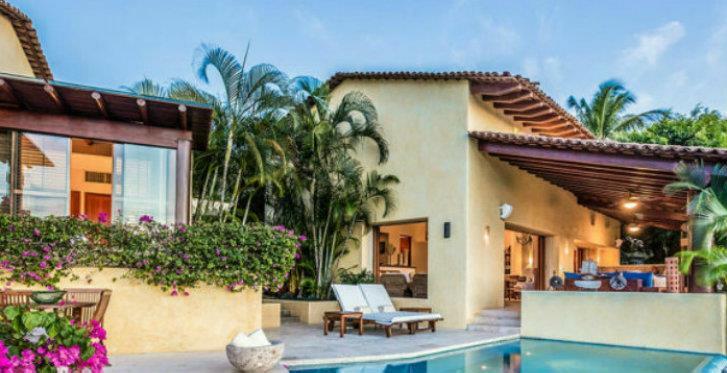 The San Jose Costa Rica real estate market provides some very appealing choices. 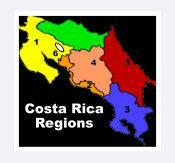 If you are looking to Retire in Costa Rica, nothing beats the Costa Rica mountain homes. You will find them in various areas such as Santiago, Puriscal, Babacoa, Grifo Alto, Puriscal and La Altos. 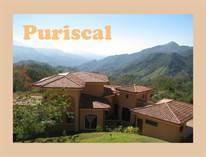 Puriscal Costa Rica weather is only one of the many appealing features of the area. You are close to all life needs, the capital, San Jose with its world-class healthcare, incredible shops, and malls, movie theatres, bars, and restaurants. The international airport is only 1 hour and the Pacific Beaches are 1 hour. Puriscal is where you can live healthier, live longer, cheaply, and more active. It is the place to spend the second half of your life as long as you like tranquility, fresh mountain air, nature, and friendly people. 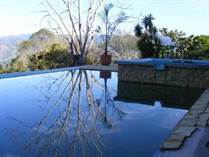 Here you will find small family homes and even large estates on large acreages, again with stunning views. Gated communities with very comfortably priced homesites are in abundance as well. The town of Puriscal serves all the small pueblos in the canton and it has most life necessities. Barbacoa, Grifo Alto. Las Palmas and Santiago are small towns that you run into as you travel the area. They are the areas mostly developed for the North American market. 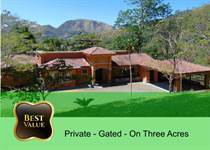 If you are seeking to retire in Costa Rica, you need to check out Puriscal. 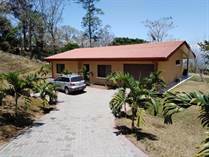 "10 minutes to all life needs inSantaigo"
"Puriscal Home 2/2 Gated On 1/2 acre of land"
"Puriscal Secure 2-2 Home With Smashing Views"
Lot Size 19000 sq. 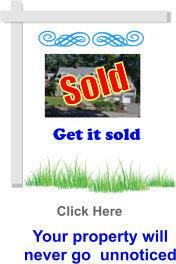 ft.
"Puriscal Home 2-2 Gated- Mountain Views "
"Beautiful Puriscal Model Home 2-2.5 Mountain Views"
Lot Size 1019 sq. m.
"An Incredible place to live"
"15 minutes from Santiago, Puriscal"
"large land with noice views"
"Secure gated - low hoa - pool club"
"Private estate in secure gated community"